The Technical Collection includes factory-made objects, both facilities and products, which illustrate the process of the development of the economy in Serbia. From 1967, when it was formed, to the present day, about 700 objects, manufactured in the period from the mid-19th century to the present day, have been acquired, mostly by purchase, or donation from various private entities and individuals. Of different ages, shapes and purposes, the objects, the major part of which represents the prototype of modern technological development, bear witness to the development of technology and modern economic and scientific achievements. Among the preserved objects there is a steam traction engine built by Hofherr Schrantz in Germany in 1914. As evidence of bygone times and an outdated technology, the collection comprises a number of gramophone records, now almost completely suppressed by the new digital audio media. The same can be said for corded telephones, radios, black-and-white TVs, tape recorders, typewriters, cameras... Items in the collection are links between the past, present and future, and therefore a significant cultural heritage that should be protected and preserved. 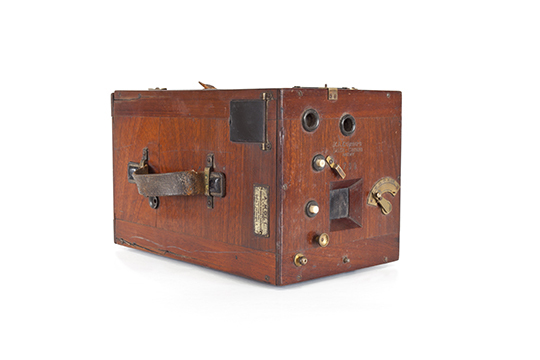 Among these objects is a ‘Kosmaj’ radio set, the first radio produced in Serbia and presented to the public on 21 September 1947, when the ‘Nikola Tesla Radio-Industry’, the first domestic radio factory, was opened. 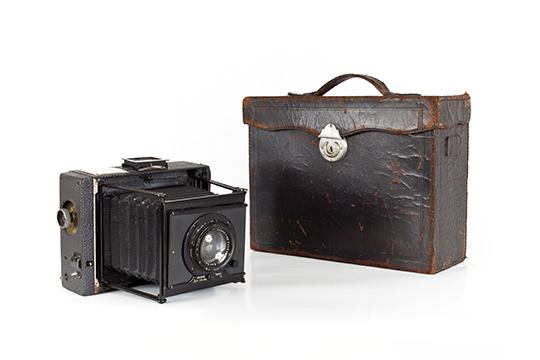 Many of the objects belonged to outstanding figures of modern Serbian history, painters, scientists, academics... Worthy of mention is a box camera belonging to Paja Jovanović from the second half of the 19th century, which he used to photograph a great variety of individuals as well as models for his painting. One of the rarities in the collection is a RS-8086 processor designed by Intel in the late 1970s and early 1980s – the computer that was used for making other computers. It was only used by the Laboratory for Computer Science of the ‘Vinča’ Institute, which donated the processor to the Museum in 2006, and perhaps by the ‘Pupin’ Institute and the Army.